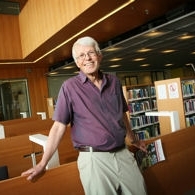 Gerald Porter is former Professor of English Literature and Culture at the University of Vaasa, Finland. His research interests are centred on vernacular song culture and oral narratives. He has written extensively on metaphor, resistance and social issues like cannibalism, child labour, lacemakers' tells (counting rhymes), laments and displacement. He has edited Riots in Literature (with David Bell, 2008). Bertrand Bronson famously resisted the practice of privileging text over music in the study of traditional song. Attempts to apply his principles to the field of vernacular song in English have usually been restricted, such as Hugh Shields' brief study of "Little Son Hugh". My paper considers the group of songs using the derry down melody of "King John & Abbot of Canterbury" (Child 45). After being used in several popular contexts, including ballad opera, in the eighteenth century, the air was often given as the suggested melody on broadside sheets. Such pointers were not given at random: the melody had also become a vehicle, satirical or deeply serious, for the expression of a gradually coalescing radical consciousness. Like the "Marseillaise" or "John Brown's Body", songs to the same air came to carry with them a charge which might be related to the abuse of power, oppressive working conditions (framework knitters), or the dissemination of new ideas (Tom Paine). My paper takes as its focus a scurrilous and satirical song, "The Coney Warren", from an unpublished 18th century ballad opera about forest dwellers resisting dispossession of their land. "The Coney Warren" has a close relation both to early traditional lore and to contemporary rural discourse about customary rights. Through its melody, it is related to the emerging oppositional cultures of the late eighteenth and nineteenth centuries associated by E. P. Thompson with the creation of a working class and, appropriately for a melody which had drawn new strength from a community established among the chases of an ancient forest, to the later song culture of loggers in Canada.